This looks like something straight out of a science fiction movie. The full explanation is here. It has something to do with super-heating the carbon coils so they bend light. It’s pretty damn cool. This nano-stuff is finally giving us the cool science fiction future we’ve been imagining for centuries. Those mask guides look pretty cool as they dance around the flames. I had to manually adjust their position for each frame. It’s tedious work, but someone’s gotta do it. Check out the final product on the glamour.com homepage on August 9th. Whenever I see people using Vine with no hands, I assumed they were doing it with paperclips and sponges or something. But it turns out you can do it completely from the phone itself. Duh. The basic idea is to use the iPhone’s built-in functionality for helping people with motor problems. In this case their deficit is our benefit. Nice! 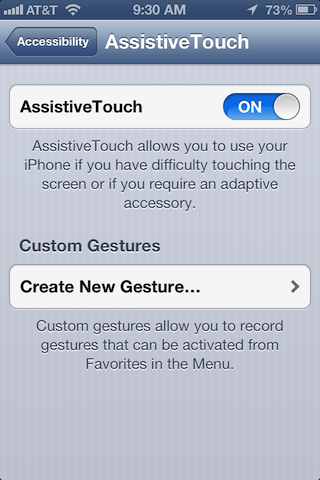 First, go to Settings > General > Accessibility and turn “AssistiveTouch” on. Then you’ll create a new gesture. Just tap and hold in the center of the screen until the time limit runs out. You’re probably figuring out where this is going. Then save that gesture and call it whatever you want. I called mine “Vine” because I’m original. Notice that when you turned on AssistiveTouch it added a little circle thingy to your phone? Well that’s how you activate the gesture you just made. Tap the circle, choose “Favorites”, then tap “Vine”. Then it will add an extra blue circle to your screen. Tap that blue circle to start recording. 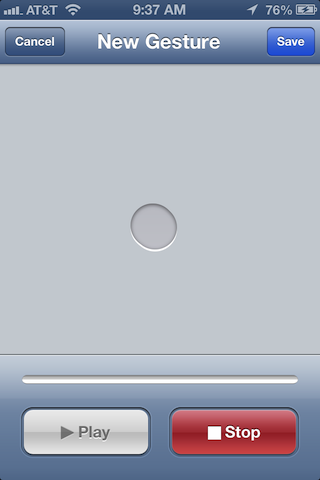 You can reposition that AssistiveTouch circle thingy by dragging it. Sometimes using it in Vine only works when it’s on the left middle side of the screen. Sometimes your Custom Gesture of just tapping and holding in the middle of the screen doesn’t work. So try making a new gesture where you tap, hold, and slightly move your finger around in a circle. Sometimes ending the Vine video is tricky. 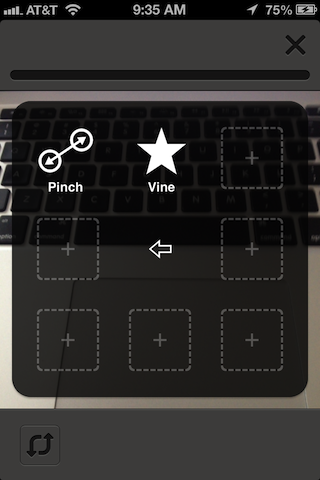 If you can’t tap the Next button in Vine, hit the home button and wait a few seconds, then relaunch the app. Your Vine should still be there. So that’s how to Vine with no hands. Enjoy, and keep using Vine to record your stupid crap!